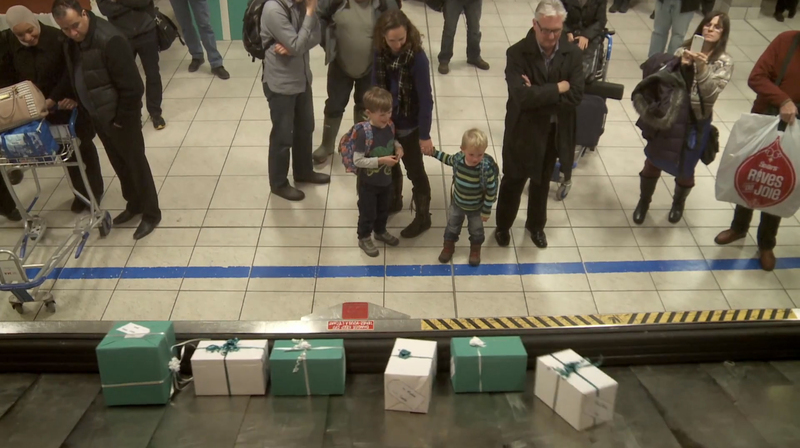 Canadian airline WestJet has drawn over 15 million views of their “Christmas Miracle” Youtube video, focused on a generous gesture to 250 passengers travelling from Toronto and Hamilton to Calgary on November 21. 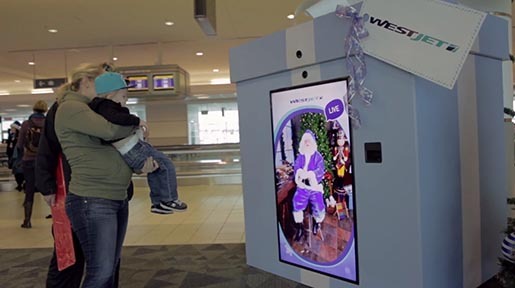 Using boarding pass information a blue-clad Santa on screen was able to hold live conversations with passengers about their hopes for gifts before they boarded their flights. 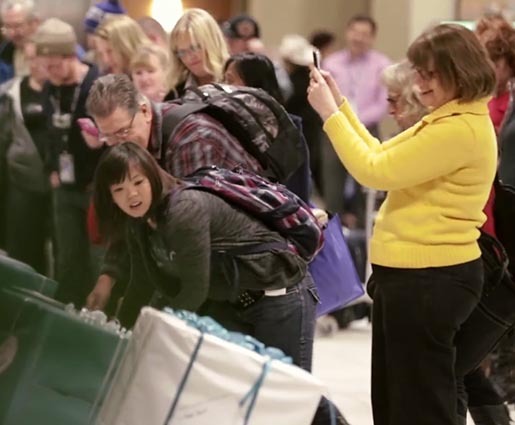 175 WestJet employees headed off to CrossIron Mills and Best Buy in Calgary, wrapping 357 gifts and delivering them on the baggage carousel at Calgary Airpot. Santa turned up to wish everyone a merry Christmas. 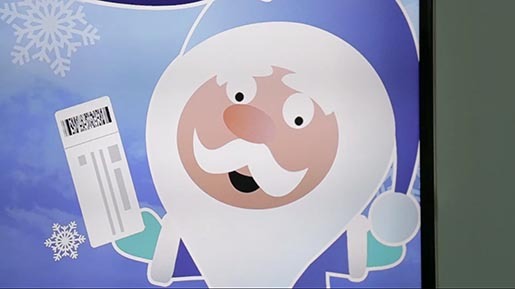 The viral success includes a narration based on the poem, A Visit from St Nicholas, and a set of Santa bloopers. 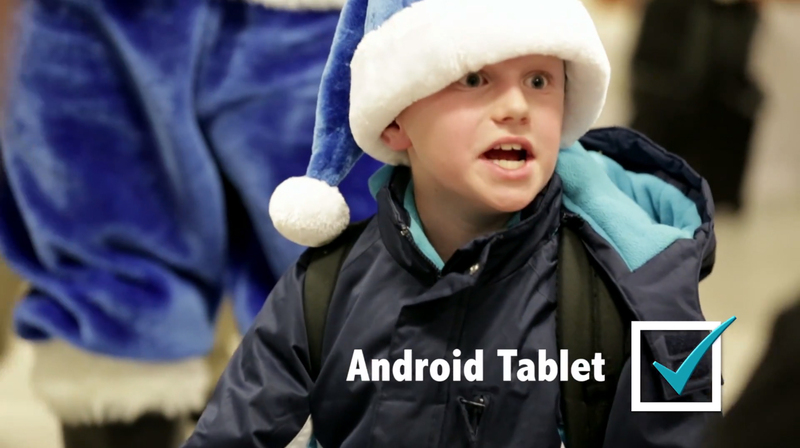 WestJet committed to providing Christmas flights to a family in need if the view count reached 200,000, and is now working with Ronald McDonald House Charities Canada to follow through on that promise. 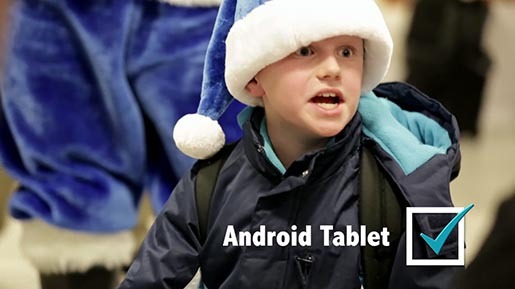 The Christmas Miracle Twitter contest offered those who promote the video, with the hashtag #WestJetChristmas, a chance to win a round trip airfare for two. International audiences are warming to the Canadian travellers, from the Socks and Underwear guy to couple who were thinking about gifts for their twins, and the Hughes family who hoped for a big screen TV. Here’s the video, filmed over two separate arrivals, five hours apart, using 19 hidden cameras and a snow machine. WestJet shares some of their Santa bloopers. WestJet vice-president Richard Bartrem shares why the airline created the WestJet Christmas Miracle. 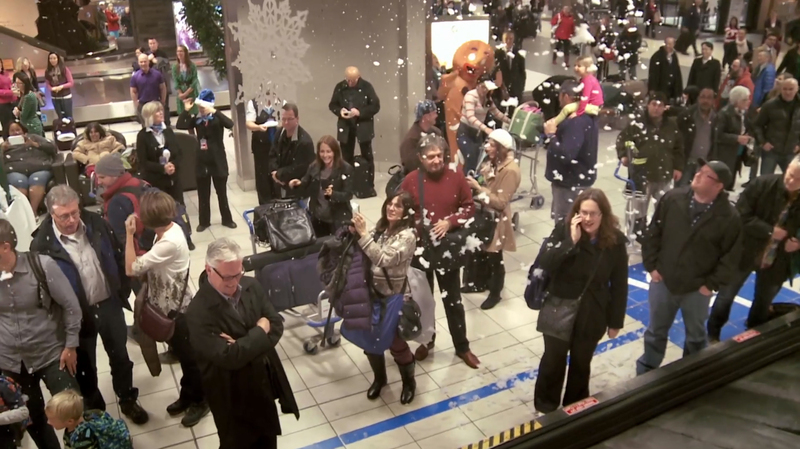 How do you turn a sleepy boarding lounge into the North Pole in 60 seconds? On December 4, 2012, WestJet surprised 166 guests waiting to board a Calgary-Toronto red-eye flight with a little Christmas cheer. Elves, snowmen, carolers, sugar plum fairies, reindeer and Santa Claus himself worked together to liven up the evening. WestJet worked with Toronto film production company studio m.